As Executive Vice President, Chief Credit Officer, Mr. Bugbee is responsible for overseeing credit, market, and operating risks with the Bank. He joined Atlantic Capital in November 2006 and served as Senior Vice President and Senior Credit Officer working primarily with the Bank’s corporate and commercial banking groups, before becoming Chief Credit Officer in October 2017. Prior to joining Atlantic Capital, Mr. Bugbee worked for SunTrust Bank for 19 years. He served as a Director within SunTrust’s Corporate and Investment Banking group working with several different diverse credit portfolios. Previously, he managed SunTrust Bank’s Credit Department and was also involved in commercial lending in the Atlanta market. 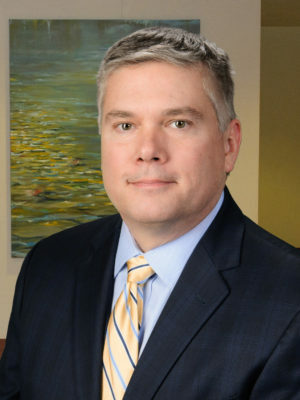 Before moving to Atlanta in 1994, he held various client management and risk management positions in SunTrust’s commercial lending group in South Florida. Mr. Bugbee received his undergraduate degree in Economics from Cornell University and his MBA in Finance from Georgia State University.